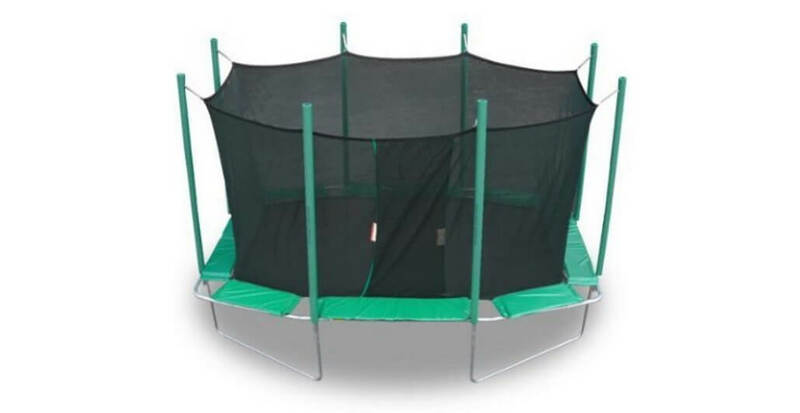 When AlleyOop 14 ft. trampoline came into review we knew that we will be reviewing one of the best trampolines we had on test. 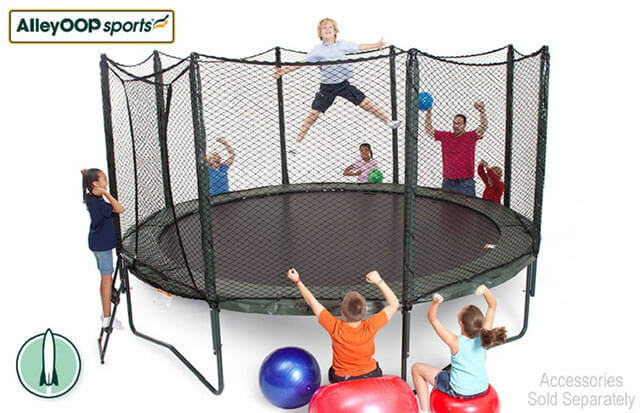 As high end brand of JumpSport, AlleyOOp 14 ft. PowerBounce is their exclusive model which is constantly on top of all trampoline reviews – thanks to carefully chosen parts combined with innovations, making it one of the sturdiest, safest and long-lasting trampolines you can buy today. 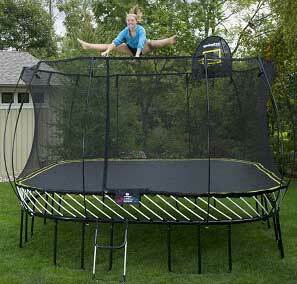 Specs & features of JumpSmart AlleyOOP trampoline are available below! 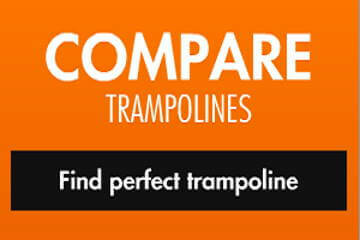 People mostly find that there are two version of 14 ft. JumpSport PowerBounce trampolines available. 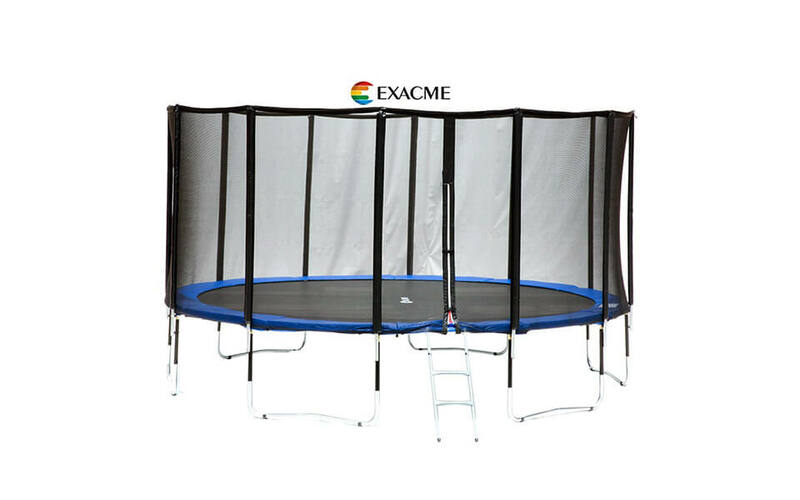 Well, as stated above, AlleyOOp is the exclusive model and acts as enhanced model of standard, and even Elite version of 14 ft. JumpSport trampoline. Bigger weight limit, thicker frame, more springs, better mat and much much more are the main features of AlleyOOp! 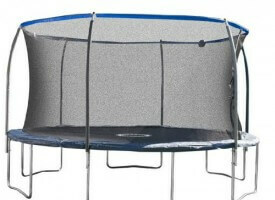 AlleyOop trampoline has one of the thickest frames in the trampoline industry. 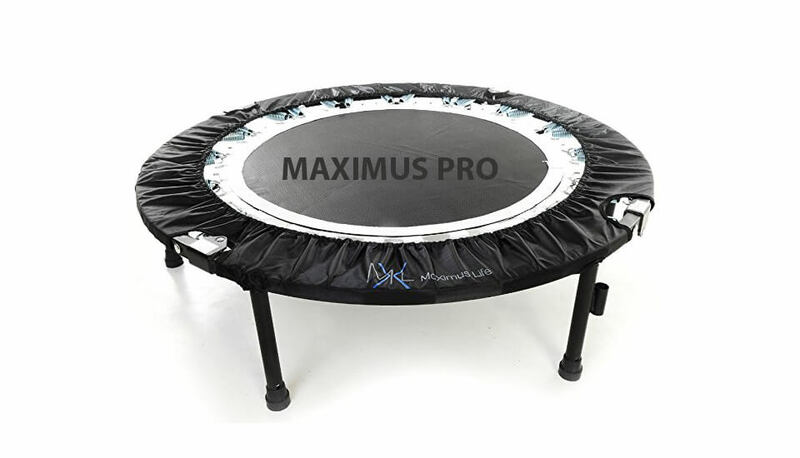 It is made from 1.9-inch galvanized steel (in diameter) with 2mm wall thickness, which will successfully stand up to any training session when using this trampoline. Special forest green look comes from textured powder coating finish. Complete height of frame itself is 40-inches. 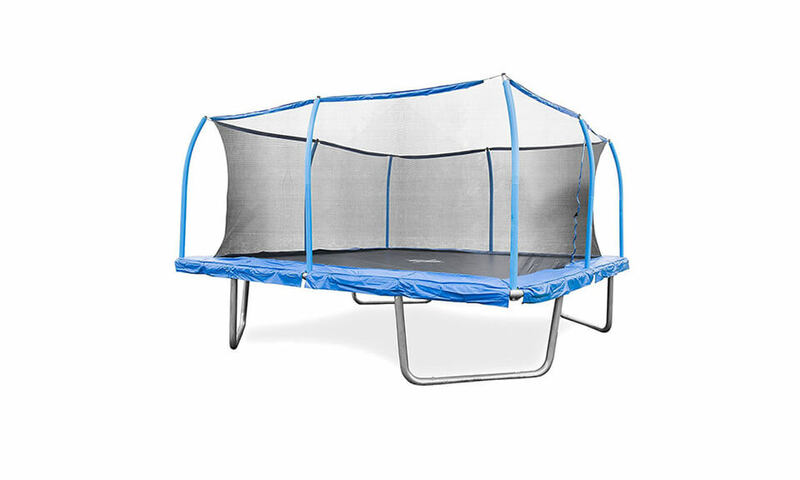 When it comes to number and quality of springs, and thanks to PowerBounce technology (proprietary JumpSport technology which adds additional advantages), this 14 ft. trampoline features total of 144 springs – 96 primary and 48 PowerSprings, 8.5-inch long and made from Zinc-Plated steel. 14 foot AlleyOOp PowerBounce uses JumpSport`s Permatron® mat, which has 10 rows of stitching and is considered to be industry leader in making of strong and responsive mats where bounce is incredibly high. Jumping mat on this trampolines offer around 115 square feet of space. Mat is UV resistant so no worries if stays on sun. 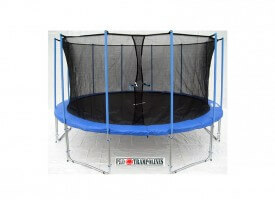 Trampoline safety pad covers springs and frame and because of 1-inch thick PE foam does a really good job. It is 14-inches wide and covered with water & UV resistant PVC. High quality enclosure which is extremely strong (can withstand 295 lbs of impact strength) making users safe as they can be. Enclosure uses open weave pattern and it`s wrapped outside the poles. There are 8 galvanized and powder coated steel poles, padded for extra protection. One thing we didn`t like are plastic caps on top of poles, which hold the enclosure in place. In our opinion, this is the only part that isn`t following overall quality. 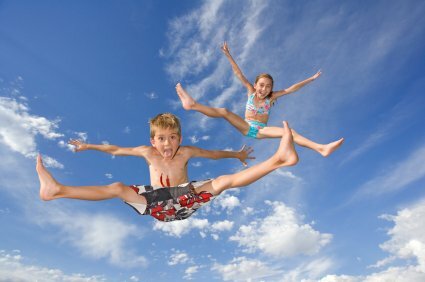 Assembly is very easy and you can expect problems only when trying to install enclosure onto trampoline. Complete assembly can be done in 3.5hrs but not without any help – at least two person team is recommended! 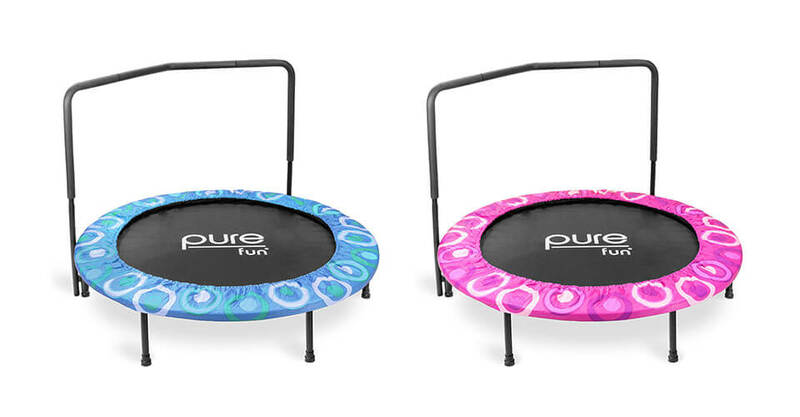 Exclusive lifetime warranty on this trampoline is one thing why we bought same model for ourselves. 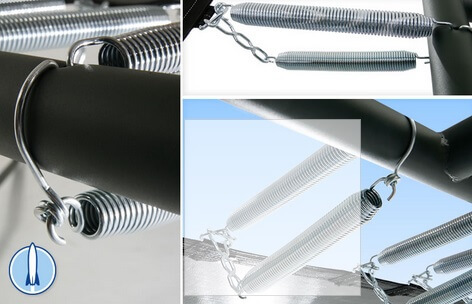 JumpSport offers lifetime warranty on frame and enclosure poles and 5 years of full warranty on springs, mat & enclosure. 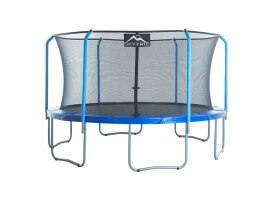 Ladder should be included as this is very high trampoline – separate purchase of ladder is recommended! JumpSport SureStep 2-step ladder, which is sold separately and is recommended for this trampoline model, because of it`s height! 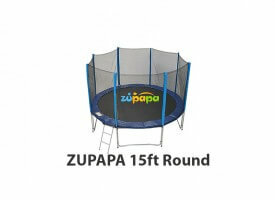 Other Round Trampoline Reviews Interested? Buy Now!!! 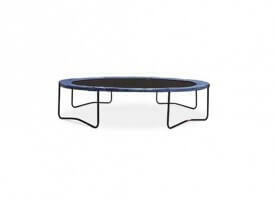 One of the best recreational trampolines you can buy today. 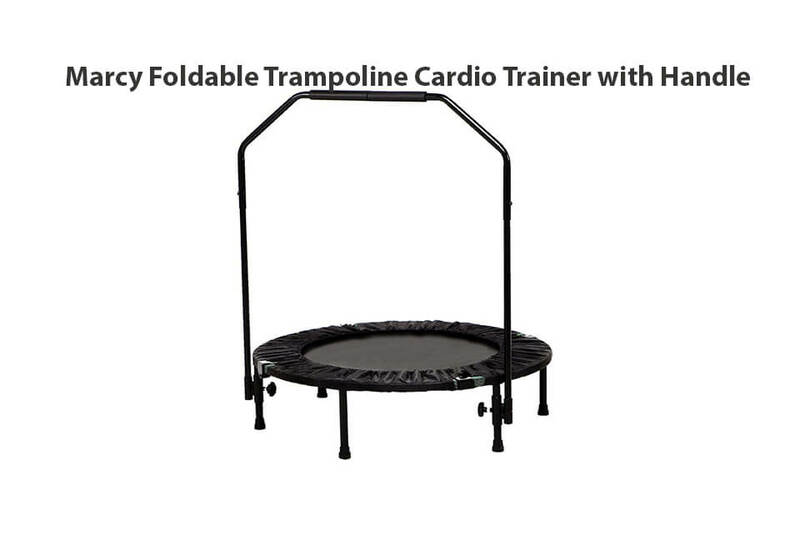 If you want zero-worries trampoline that will last, AlleyOOp 14.ft trampoline is the one!